James Jean is one of my all-time favourite artists ( and who is also the owner of many Eisner and Harvey Awards). You may know him for the work he did with the covers of the Fables. For Spring/Summer 2008, he collaborated with Prada. 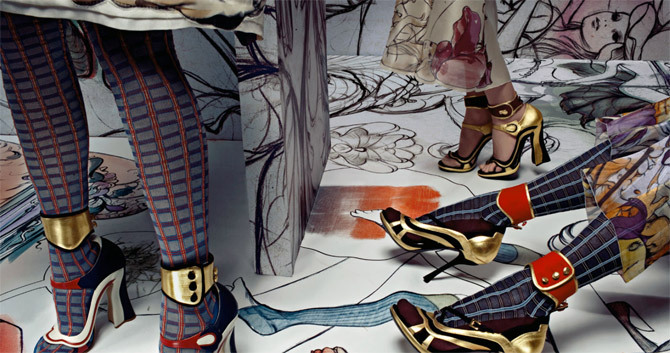 This is the animated film based on the show’s backdrop concept, the wallpapers and basically the work he did for Prada. Here, he is talking about the collab. Also, his prints were installed in. Prada Epicenter stores in New York and Los Angeles. 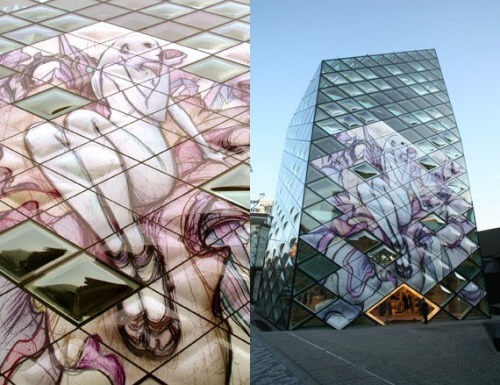 These prints are as large as 60 meters wide. You can check these prints on his website. The façade of the Tokyo flagship store of Prada in honor of the 2nd screening. The campaign photography also of course featured his work.